Scott Christopherson and Brad Barber’s new movie, Peace Officer, is nothing if not timely. The documentary takes a harrowing look at the increasing militarization of the police and the devastating effects of excessive police force. The story is predominantly related to the United States (and, indeed, seems painfully relevant in light of the recent examples of police brutality and the Ferguson and Baltimore riots) but even as someone who is not American, I found Peace Officer completely gripping and eye-opening. The central figure of Peace Officer is William “Dub” Lawrence, an impossibly all-American former sheriff from Utah. Dub, as we learn, actually implemented Utah’s first SWAT team during his time as sheriff, and in an all-too-cinematic twist of fate, that same unit was responsible for killing Dub’s son-in-law some 30 years later. In the aftermath of the tragedy, Dub began a borderline-obsessive search for what happened on the day of his son-in-law’s death. (And as Dub and the directors gleefully point out, he’s far more thorough in his crime scene sleuthing than the police department was.) He also extends his services to other families in the area who have experienced similar violence. And there, we have our movie. One thing Peace Officer is not is subtle. The bias of the directors is clear and they make no real effort to hide it. That said, they give the “other side” (read: the law enforcement officials) their chance to speak up. (However, the film’s “this-person-declined-to-comment” title cards may be more damning than any actual interview would have been.) And though filmmakers’ stance is clear, I appreciated the fact that for the most part they didn’t demonize the individual police officers; the film’s general perspective seems to be that it is more of a systemic problem, which is a far more interesting and complex issue to explore than the alternative, reductionist “cops are mean” style of argument. And indeed, some of the information the movie presents is jaw-dropping. The type of equipment these SWAT teams are armed with is insane, as are the figures about the rising use of SWAT teams in general. And as we follow along with Dub’s journey and watch him piece together what likely happened in these deadly incidents of police force, it’s hard not to be moved. Police brutality is a large, complex matter and even at nearly two hours long, the movie doesn’t feel like a definitive look at everything at play. Then again, it also doesn’t really need to be. It barely gets into the matter of race (though the “talking head” interview subjects do thankfully mention it). This is probably partly because the film only examined specific Utah-based incidents and partly because racial profiling is an issue in desperate need of its own thorough documentary. Dub’s crime scene examinations often play out like a Hollywood thriller. Because of this and because of the harrowing nature of the stories it tells, Peace Office is actually one of the most intense movie-watching experiences I’ve had recently. 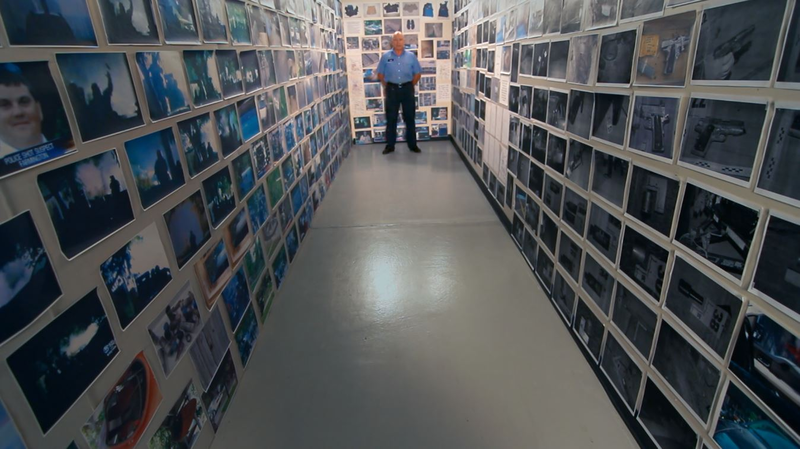 It’s a straight-ahead style of documentary, yes, but Peace Officer proves that sometimes all you need is the meat-and-potato facts to tell an effective, affecting story. We’ve all seen the familiar arc of a rising musician in so many film biopics that you can probably recite it along with me: The musician toils in their humble beginnings, uses their talent and determination to get noticed, finds success (usually compromising their artistry at the demand of The Man along the way), gets caught up in a world of excess, watches their professional and personal world crumble as a result, and –if they’re lucky – makes it out alive on the other side. The only difference in music doc Breaking a Monster’s narrative arc is that it isn’t all happening to Johnny Cash – it’s happening to a bunch of 13-year-olds. Unlocking the Truth became something of a viral phenomenon last year when they inked a $1.8 million record deal with Sony. After blowing up online, the trio of African American Brooklyn pre-teens were thrust into a world of press, festival gigs, and TV appearances; and, as Luke Meyer’s new documentary shows, even the most articulate and mature kids probably aren’t ready to handle that level of exposure. Breaking a Monster charts the band’s rise from busking on the streets to navigating the red-tape wasteland of today’s music industry. Cue the exhilarating live performances, screaming fans, arguments with the label bigwigs, and confiscated Coke (note that’s Coke, not coke). One great thing about Breaking a Monster is that it doesn’t lionize or demonize any of its subjects. We root for the lads of Unlocking the Truth, but they also frequently come across as bratty and annoying (as, you know, almost all 13-year-old boys would). And while band’s resident “momager” seems to have the best intentions for the boys, but her decision to effectively sell them off to Sony is not a clear-cut one. To that end, while the suits at the record label may be out-of-touch at best and shady money-grubbers at worst, they’re also not presented as inhuman; one of the film’s strengths is that the music biz is presented in a refreshing un-glamorous way. In a way, though, Meyer almost goes a little too easy on everyone involved, just skirting around some of the darker, more interesting undercurrents of the story. For example, the issue of the band’s race is only touched upon in one scene, where frontman Malcolm shows that he’s a little less naïve than we thought and understands the possible “novelty” appeal of an all-black metal band. Meyer also doesn’t get into the current state of the music industry much, even though it’s clearly heavily dictating the band’s stunted success. 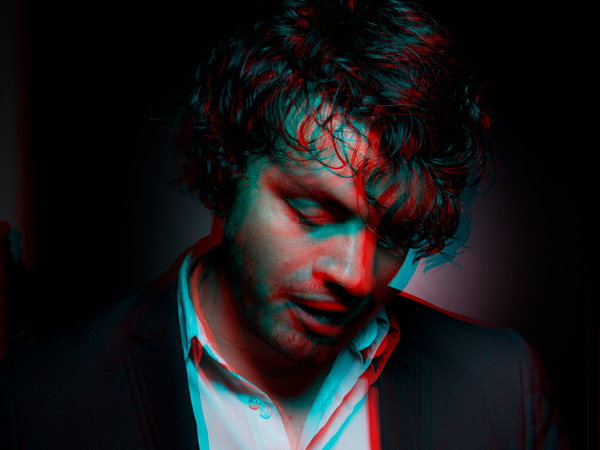 He instead focuses much more on the boys, which, while it makes for an entertaining watch, it feels like a slightly incomplete telling of the band’s nascent career. It’s sad to watch the increasing corporatization of Unlocking the Truth. (As the boys continuously complain about, they just want to put out an album already!). But Breaking a Monster is also a fun and accessible documentary, able to please even those with no interest in heavy metal music. All three boys obviously love playing music, and they’re all engaging, fun, and varied subjects. Meyer clearly built a high level of trust with them and while there are moments of obvious self-consciousness around the camera, his behind-the-scenes look at the band feels refreshingly honest. 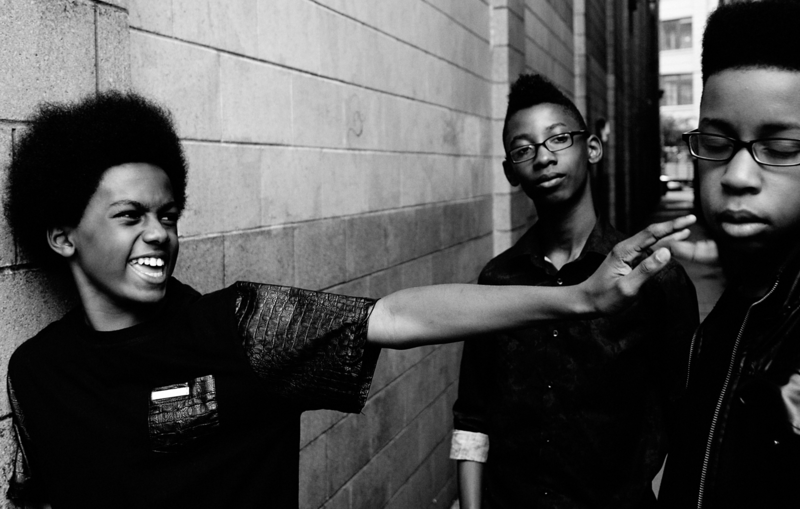 Unlocking the Truth follow a familiar rise-and-fall musician trajectory, but Breaking a Monster works because it gets to the heart of the band members involved. Ross Sutherland’s Stand By for Tape Back-up could semi-loosely be called a “documentary” (hence its inclusion in the 2015 Hot Docs Film Festival), but it’s hardly what most think of when you hear the term. Sutherland splices together footage from an old VHS tape that he compiled with his grandfather as a child. Anyone who ever recorded from television to VHS knows what this would entail: taped-over fragments of Ghostbusters , snippets of sports games, and laughably dated TV advertisements, mostly. However, Sutherland edits this seemingly random footage into something with a distinctive, evocative rhythm. He also shares his own memories (which often swell into spoken-word-style poetry) over top of the footage. An experiment like this could have gone very wrong, but while Sutherland’s film occasionally wanders into the self-indulgent, he largely keeps things fresh. His “remixing” of the footage (which frequently involves rewinding and replaying certain segments) combined with his own words reveals new context to the seemingly benign relics he and his grandfather captured on tape. One portion of the film where Sutherland repeats the opening credits of The Fresh Prince of Bel-Air until they take on multiple, entirely new meanings is especially effective. I’m a fan of writers like Chuck Klosterman who combine universal pop culture touchstones with their own intensely personal experiences. Sutherland now joins those ranks. Stand By for Tape Back-up is partially a loving ode to the analog age, but mostly, it’s an effective meditation on loss and change. Its impact sneaks up on you.